Facebook, Inc. (NASDAQ:FB) keeps expanding its reach. The most recent development was the announcement Wednesday of a Facebook home service product. While it might not be a game changer for Facebook stock, it certainly is worth noting. Facebook is adding a dedicated area for services to its marketplace, allowing users to find providers from partners like Handy and Porch. Plumbers, handymen, cleaners and contractors are among the professional categories included. On its own, the new Facebook home service offering isn’t a big mover for Facebook stock. Nor should it have a major effect on rivals, including Walmart Inc (NYSE:WMT), who already partnered with Handy to offer installation help with its products. But the growing number of companies targeting the space shows the potential of Facebook’s offering. And combined with other recent moves, it suggests a long-term strategy for Facebook to expand its reach well beyond its core social media offering. Facebook’s offering isn’t necessarily revolutionary and Facebook isn’t going it alone. The company wrote in its blog post that it was working with Handy, Porch and HomeAdvisor, a unit of ANGI Homeserves Inc (NASDAQ:ANGI). Those partners will supply the listings to Facebook users. In other words, the Facebook home service isn’t competing with the existing providers. But it is competing with a number of big rivals, as TechCrunch pointed out here. Amazon.com, Inc. (NASDAQ:AMZN) has targeted the space. Alphabet Inc (NASDAQ:GOOGL,GOOG) unit Google has connected HomeAdvisor and Porch to its Google Home voice assistant. According to Facebook, via TechCrunch, the initiative won’t generate any revenue or licensing fees at first, but it does increase Facebook’s reach and value to its users. Given how important keeping users is to Facebook stock, particularly after recent data scandals, adding a new service seems like a step in the right direction. A New Strategy for Facebook? The Facebook home service rollout seems like it might be part of a larger strategy. 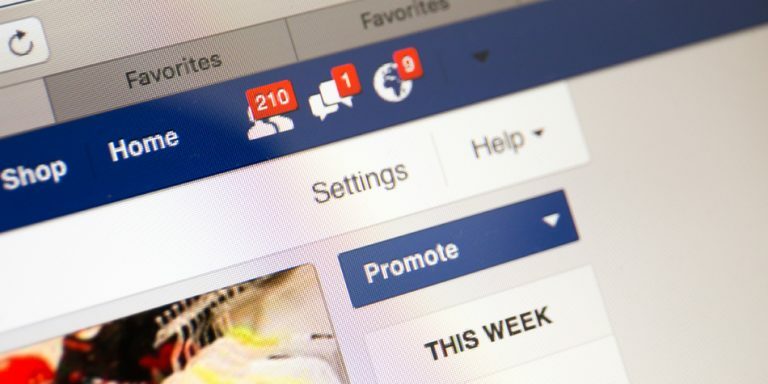 Facebook continues to take small steps in expanding beyond its core social media offering. Facebook’s entry into dating earlier this month sent shares of Match Group Inc (NASDAQ:MTCH) plummeting. Facebook already has built out its offering for businesses. It has a person-to-person payment service through Messenger, a la Paypal Holdings Inc (NASDAQ:PYPL) subsidiary Venmo. And it’s worth wondering what else Facebook could offer. For all the concerns about privacy and data, it’s important to remember just how many users Facebook has over: over two billion each and every month. That’s a massive user base and a huge asset buoying Facebook stock. As long as those users stick around, more efforts like dating and home services could be on the way. Again, the home services offering isn’t revolutionary, and it isn’t moving Facebook stock. This is a company worth $544 billion; ANGI is worth just $7 billion. But there are two points worth noting coming out of last week’s news. The first is that the media is back to covering Facebook’s potential and not just the negative headlines from the Cambridge Analytica scandal. And the second is that there’s more to Facebook than the just the current profitable business, which already supports a multiple less than 19x forward earnings, backing out net cash. Instagram and WhatsApp still haven’t really been monetized yet. And the core Facebook platform has so many opportunities to create new services for its users. It’s likely that in many ways, Facebook simply isn’t a finished product yet. If that’s the case, Wednesday’s announcement could be the first of many. Article printed from InvestorPlace Media, https://investorplace.com/2018/05/home-services-facebook-stock/.